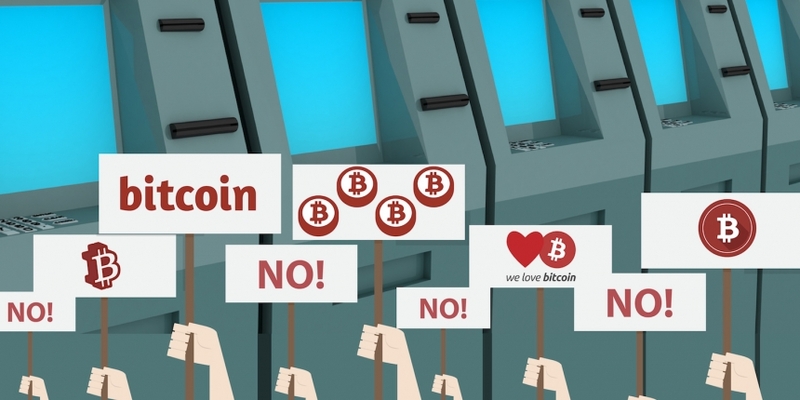 At press time, the operators of eight machines have confirmed to CoinDesk that their Robocoin bitcoin ATM units had gone offline over the issue. Robocoin has some 45 machines in operation globally, according to the CoinDesk Bitcoin ATM Map. The operators of these eight machines have refused to upgrade to the company’s Robocoin 2.0 platform, which will require them to collect customer information pursuant to KYC standards and direct customers to the company’s own wallet. Co-founder and CTO of Robocoin John Russell and CEO Jordan Kelley sought to frame the customer outrage as a response to the company’s new KYC standards, while arguing that its new wallet service was necessary as it could no longer afford to continue providing retail customers of its machines with poor experiences. Russell suggested that the new software upgrade addresses a litany of issues reported by operators and customers, while Kelley stressed that end users would still be able to transfer bitcoin they receive from their Robocoin wallet to another wallet of choice, thereby negating any fears that the company may be making a move toward centralisatoin. Overall, the announcement garnered mixed reactions, both among Robocoin operators and in the wider bitcoin community. While bitcoin’s Reddit community was hostile to what they saw as the company’s move away from bitcoin’s decentralised roots, its decision to adopt KYC standards was applauded by prominent community members such as Bitcoin Foundation board member Jon Matonis on Twitter as a smart business move. “We as robocoin operators need to unite together and install open-source software on our machines and cut Jordan [Kelley] out and his fees out,” he wrote. Harrison had previously promised to continue to operate the Robocoin 1.0 version on his ATMs, stating that he would bring negative exposure to the company should it go through with taking his machines offline. In particular, he has taken aim at what he considers is the Robocoin 2.0 platform’s move toward centralisation, while alleging that the company had previously told him he would be able to keep the Robocoin 1.0 platform. Others took a similar view, including Ryan Price, co-founder of bitBrokers, Inc, who alleged that Robocoin was taking an aggressive move toward centralisation, one that “flies in the face of everything bitcoin stands for”. Price alleged that Robocoin was seeking to profit from users’ funds that would be kept in its banking platform, while exposing clients to additional risk and keeping their personal information outside their control. Although CoinDesk collected a wide collection of views on the issue, most operators who were protesting the change reported that their main concern was the company’s move to its proprietary wallet platform, not its desire to have them collect information from customers pursuant to KYC regulations. Pat Roberts, general manager of ABA Technology Pty Ltd, argued that coverage of the issue had so far incorrectly framed Robocoin operators as anti-regulation, owing in part to Robocoin’s public statements. “Many of our concerns are not with the KYC changes, as your coverage or Jordan [Kelley] would suggest, but rather the closed wallet system they are enforcing for all transactions,” he said. Roberts indicated that his Robocoin machine running the version 1.0 software allows him to already optionally collect KYC information from customers. BitBrokers’ Sheldrake echoed these concerns, suggesting that Robocoin was heading down a path similar to past bitcoin services that have folded due to security failures. Others alleged that in its bid to offer retail bitcoin buyers instant access to bitcoin, it would require operators to be exposed to the currency’s volatility, a charge the company sought to rebuff. “It should be considered a capital investment similar to the machine. Holding a float allows instant cash-to-bitcoin transactions, while mitigating many, many operational challenges,” the company said. At least three operators have contacted the Czech ATM maker about its ‘Robocoin fix kit’ that includes a new computer and software for the ATM. A representative for the company said that new customers can simply unplug their old Robocoin computer, install server software and be operational within one business day. Robocoin has countered by suggesting that such quick-fix solutions may lead to liability risks for its former operators, provided these options issue private keys in a similar manner to its Robocoin 1.0 platform. Although some operators have thus far proved resistant to the new policy, others told CoinDesk that they believe Robocoin’s decision to upgrade its wallet platform, while embracing regulation, makes sense from a long-term strategic perspective. Notably, this group saw the upgrade issue as one that was primarily about a small group of operators wishing the company not to comply with its legal directives.